Some people move often because they have no other option. They move for jobs, relationships, or other reasons. But some enjoy moving frequently because they cannot stay in one place for too long. They need a change. So, they use their relocation to explore new places, new environments, or to redecorate and simply enjoy new things. They get that itch to constantly shake things up a bit. Those people are called serial movers. Are you among them? If yes, there is nothing to be ashamed of. 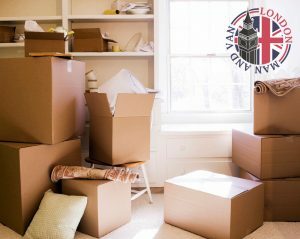 On the contrary, there are many benefits of being a serial mover such as knowing where to find trusted home removal services in London. Here are few examples why being a serial mover is a positive thing. Moving to a new house means having a new and different space to decorate according to your current mood. If you have a chance to buy new furniture, decorating will be fun. You can buy a new couch and mark your new territory with a new piece of furniture. Add some colourful pillows or blankets. You can play with colours, experiment with ornaments, etc. If you are keeping your furniture and other household stuff, you can rearrange furniture, give a new purpose to your existing items or decorate your new home by using that pillows you forgot to have, only to stumble upon them while packing. Bottom line, you can make your place appealing and comfortable whether you buy new furniture or keep you current. The excitement of learning something new enriches your character and your personality, so this benefit is perhaps one of the most important ones. This way you will discover things about yourself you never knew were there. This is a recipe for a happy life. Serial movers eventually become minimalists without even realizing it. This is because they are used to moving a lot and they understand that stuff is only stuff and the less they have, the easier their every move will be. Plus, they will save money because the fewer items they need to move, the less it will cost them even if they use an affordable man and van service in Preston HA9. So, moving becomes their way to declutter and get rid of the items they rarely use or need. They truly know the feeling of freedom, freedom from the junk that might de-energize you over time. Moving frequently is living an active lifestyle. Removal is normally a hectic experience where you have many tasks to carry out and plan, plan, plan. If you are moving on your own, you need to plan your move, get packing supplies, pack everything, hire a reputable man and van in Hook, and then unpack and settle in. If you choose to hire a mover to take care of your entire removal, you will still have things to do, like changing your address, transferring utilities, finding the right mover, etc. Moving is a great workout.